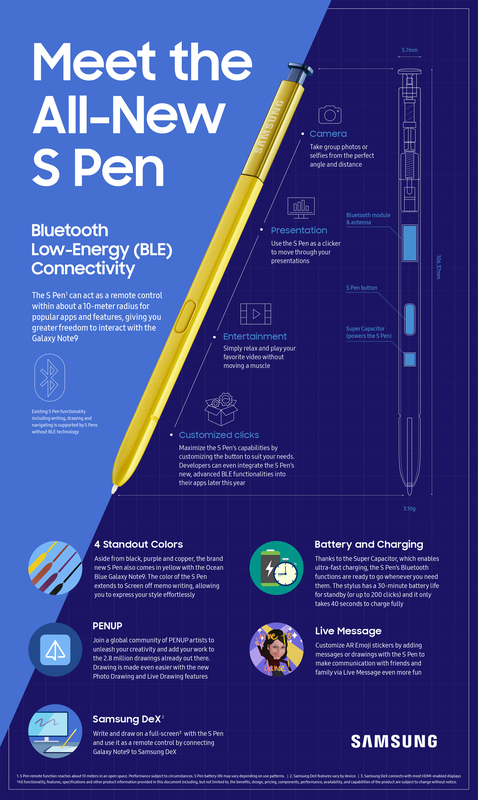 In just a short time, Samsung’s S Pen has revolutionized the way people use their phones. Over the years, this trademark of the Note series has evolved dramatically in style, design, as well as capabilities. The Galaxy Note9’s S Pen with remote control takes the iconic stylus to the next level, further transforming simple gestures into powerful actions. If you think you already know the S Pen, you’re in for a surprise.